There's no stopping you in this durable, fleece-lined jacket. 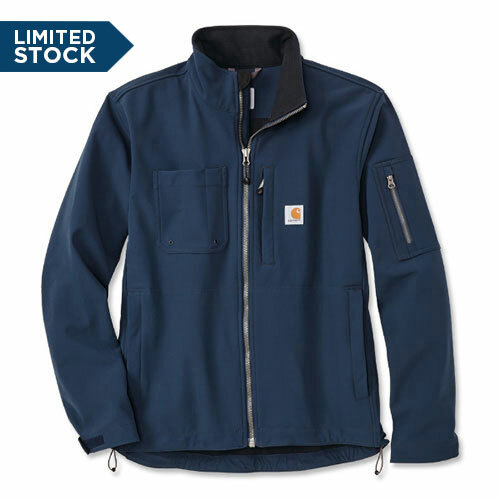 Tough fabric features Rugged Flex® stretch to move with you as you work. Water beads up and rolls right off, while wind resistant technology blocks gusts. Left-chest map pocket; right-chest patch pocket with pencil slot, zippered storage pocket on upper-left sleeve and two side-lower pockets with zipper closures.